There’s a moment in Broken Toys that does something never done in The Walking Dead. We’ve always seen walkers as undead beings – monsters with the sole purpose to kill the living and feast on their flesh and muscle – but about halfway through Episode Three, a new light is shined on their existence. 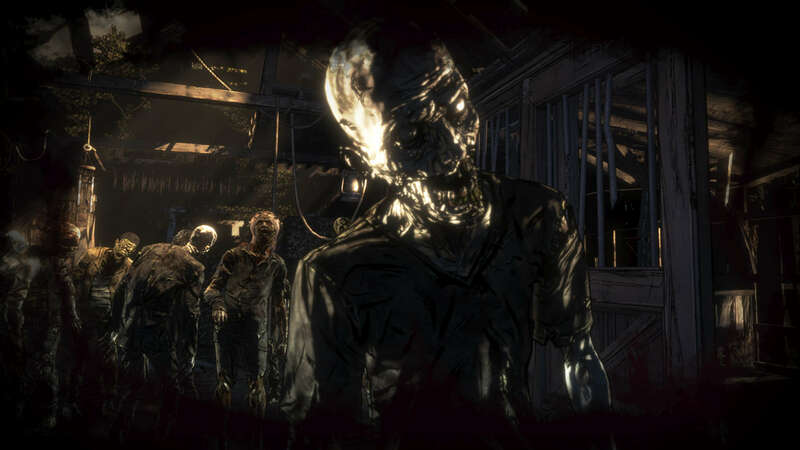 James, the Whisperer who’s been helping you since the last episode, asks you to don his mask and step into a barn full of walkers. He wants you to see them as he does: peaceful, lost souls. You walk into the barn and move amongst them, watching as they stand there and shuffle solemnly, then ring a wind chime in the middle of the barn and see how they react. It’s a rather poignant scene that highlights how a different viewpoint can change how the walkers are seen, and in turn how a new, younger generation of survivors view the world. Clementine is doing her best to shape AJ as best she can, but the oncoming war with Lily and the raiders is starting to take its toll on the group from Ericson. 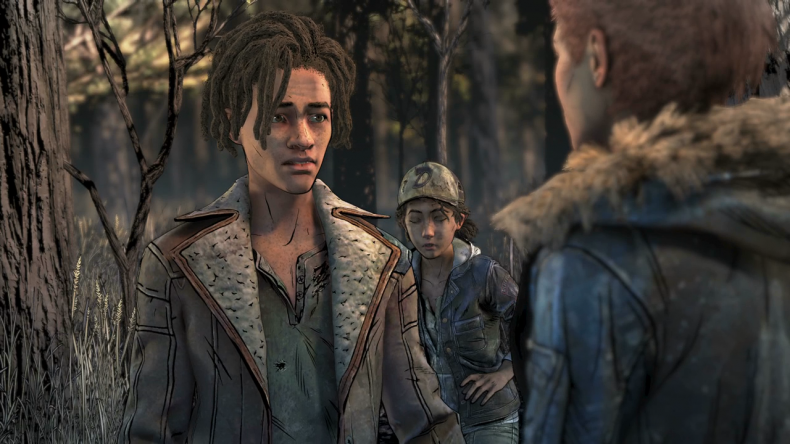 It’s been difficult trying to guide such an innocent mind, and even after the death of Marlon, there’s still hope, but after an early scene where Clem interrogates Abel, AJ starts to become much more aware of himself, of the severity of their situation, and begins to understand that this new world isn’t simply black and white. It’s a wonderful scene, made great by Abel’s request to be killed before turning, and even when the moment comes, your protectiveness over AJ almost reaches the end of its tether. I’d been fighting so hard to shield him from the world, to keep him from living with the harsh realities that he’s now faced with, and making the decision to keep protecting him almost wavered. History is repeating itself, and just like Lee looked after Clem, she’s doing her best to do the same with AJ. When the episode reaches its climax, there’s one decision that honestly left me shook. I was so disappointed in myself, and I was so disgusted with what I’d done and for undoing all the good I’d done with raising him, but that’s the thing with The Walking Dead. Almost every big choice you face is one you have to decide upon with seconds to do so. Spontaneity is rife in Broken Toys, and it is in these decisions you learn who you are. There’s a wonderful scene featuring Lee, and Clem as a child, and it’s here where you offload your worries about the war between your group and the raiders. Although the scene is reminiscent of Season One, Clem shares her worries about how she doesn’t want to fail, and Lee being Lee provides comfort like before. One thing that this entire season has done well is highlight just how differently this new world is seen though the eyes of a younger generation. They’ve been forced to survive without an adult presence, and in many ways their innocence has been their best quality. Even Violet has shown how her youth has affected their survival, and as the group spends some time throwing a party, we’re treated to one of the finest scenes of the episode. It’s funny, moving, and indicative of how important victory over the raiders could be. A peaceful life is all they want, and if these kids manage to succeed then maybe this kind of life will be permanent. There’s never any sugarcoating about what might happen when the group hits the boat, and throughout the episode there’s a sense of dread. People are going to die, and with it being the final season you can’t even be sure Clementine is safe. When you finally attempt to get on the boat the action is fast and loud. Visually this season has been exceptional, pushing not just the art but the lighting as well. 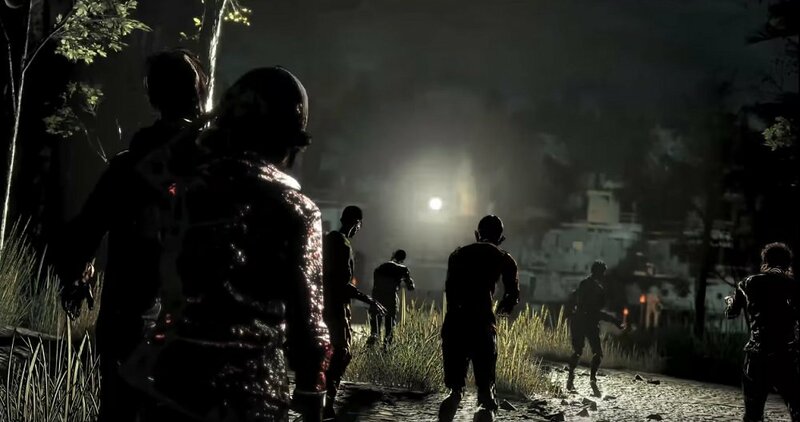 There’s a scene where you’re hiding behind walkers to get to the pier where the boat is docked at, and the way the light provides silhouettes to the undead is exceptional. Going back to the scene in the barn, it’s not just the design that’s done superbly. Hearing Clem’s nervous and broken breaths transcend into an eerie calm highlights just how far this series has come. Telltale Games’ The Walking Dead definitely feels like it has run its course, but the work that went into making sure this final season goes out with a bang is abundantly clear, and Skybound has done such an honourable thing making sure we got to finish Clementine’s story. There’s still issues with lagging, and some scenes are damaged slightly due to the janky framing, but overall the issues don’t overwhelm. Broken Toys is filled with action, emotion, and all of the things we’ve become familiar with since the very beginning. When it’s at its most bombastic, The Walking Dead shines brightly, but it’s in the quieter moments of human desperation and hope that these stories become so much more than a tool to necessitate its gameplay. Yes, the combat has come along way, but it has always been about telling a great story, and the penultimate episode goes a long way to making sure we remember The Walking Dead with fondness. Will they ever get the eyes right? Broken Toys is a superbly written episode, with visuals being some of the best the series has ever seen.